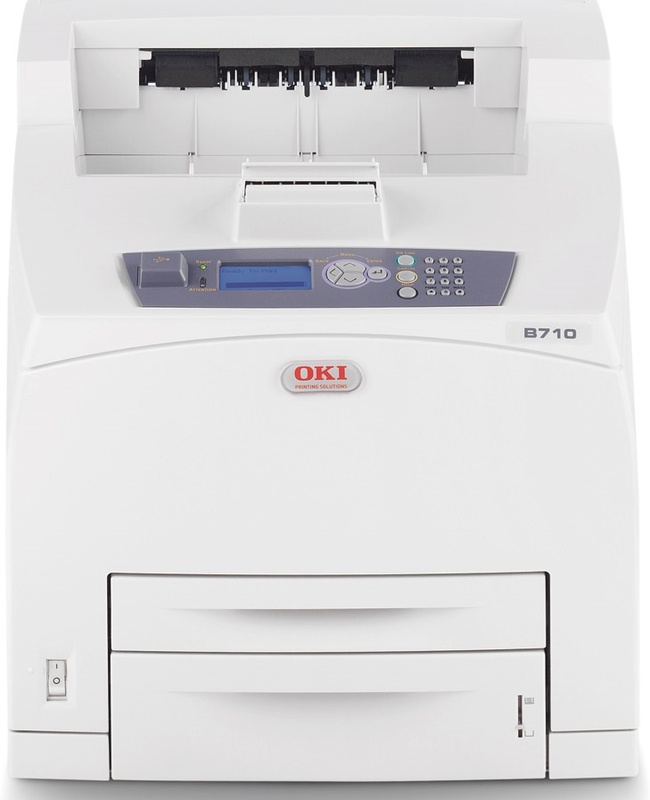 Enjoy effective network management and reduced user intervention on the Okidata B710N Moochrome Laser Printer. 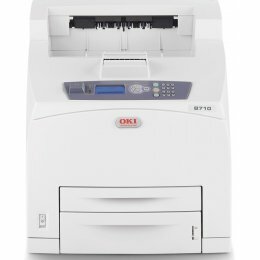 The B710N Printer gives you a low total cost of ownership, straightforward network integration as well as an intuitive control panel with a 5-line LCD backlit display. Handle inkjet papers like photographic papers - hold them by the edges to avoid oil deposits and fingerprints. 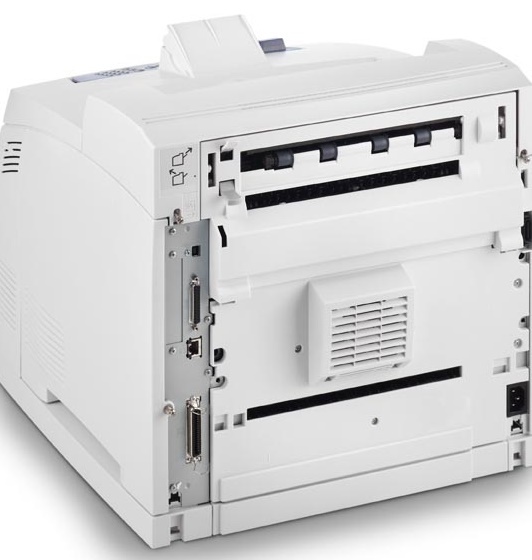 Is your printer feeding in the whole paper stack rather than just one piece at a time? Fan the paper before putting it in the tray to help separate the sheets. Also, store your paper in a cool, dry place as humidity can contribute to this problem. Media settings on your printer determine how much ink will be used. Thinly coated glossy films require less ink, while plain paper soaks in more.